Crossing Biskaya was an adventure itself. 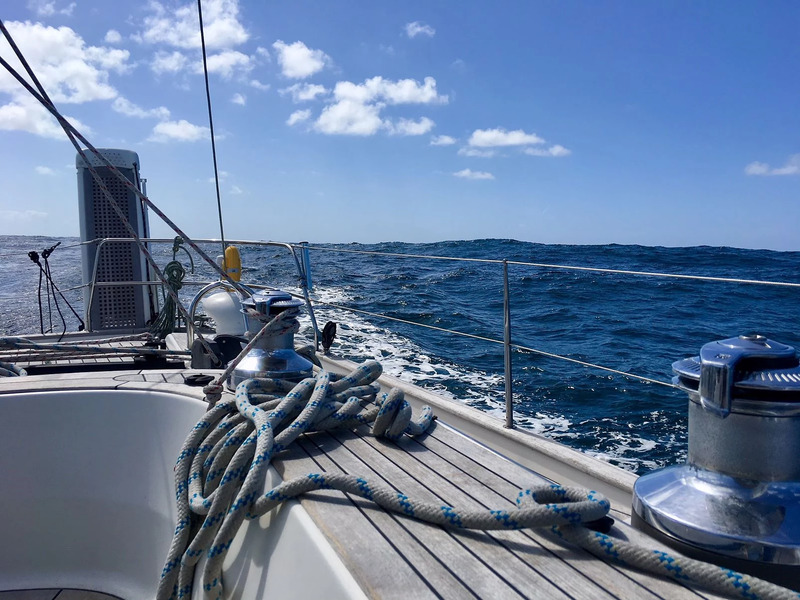 We have heard rumours that it can be pretty nasty, and it was:) The first day and night and following day the wind was around 22 knots and the Waves was high. Trinity was stamping a lot and our bowtruster was taking same damage. We took a rope and tighted it hard around the bow of the boat to keep it up. 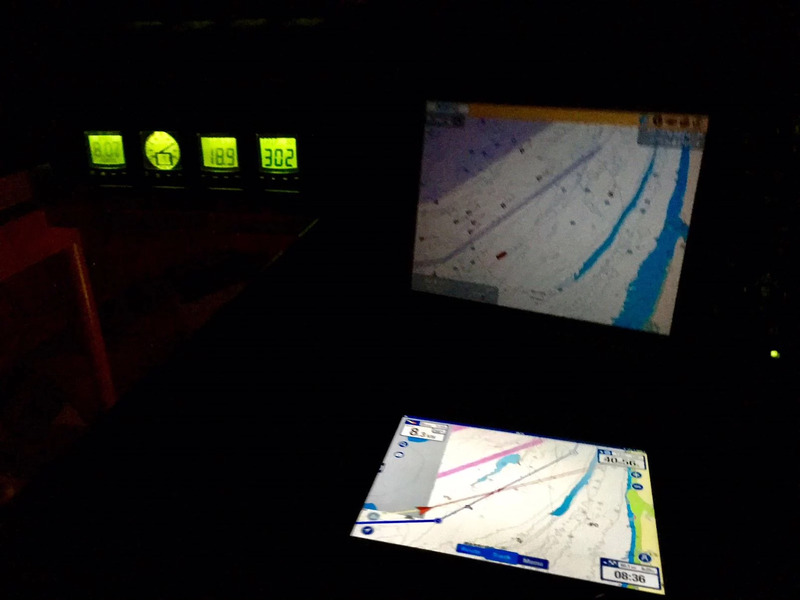 In the first evening we got a Mayday call from Another boat, quite scary to hear it in Biskaya....We answered the call and tried to get their position. The guy said "My father is dead" and he sounded very sad and stressed. He was not good in English, I tried several times to let hi repeat his position in English, but he couldnt. In the end the resque team in land contacted us and thanked us for the support and we gave them our position if they needed further help during the night. They never called us back so we assume they fixed it. The last 1,5 Days and nights we motoring the last diatance because our main sail was blown apart during the strong winds the first days so we couldnt use it. We moved the boat and filled her up with diesel, after that we started the reparations that was needed to fix after Biskaya. We took a taxi to a boat shop and found a repair kit for the sails. Charlotte Went up in the mast and starting to sew...I fixed other things and in the evening we were ready with all and got some Company from our new found friends from Brazil, Chris and Larissa. 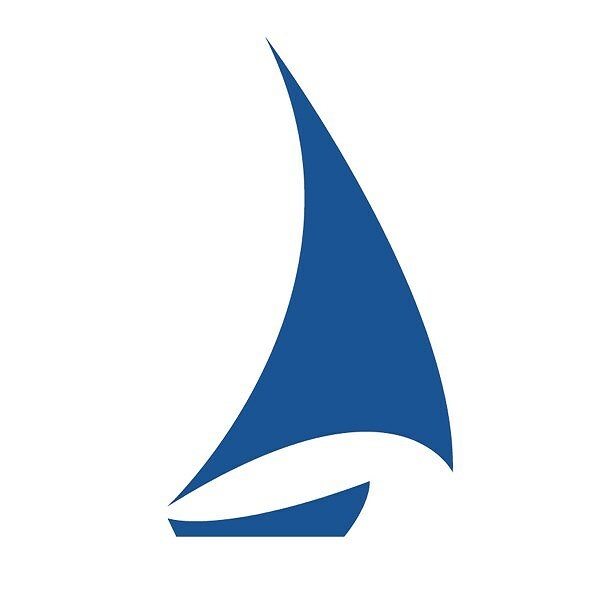 They are sailing around the World with a Hallberg Rassy 39 feet, we hope to see them again when we leave in August for our trip. After some wine and chatting we went to bed to get some sleep for leaving the harbour in the morning for destination Dunkerque, France.